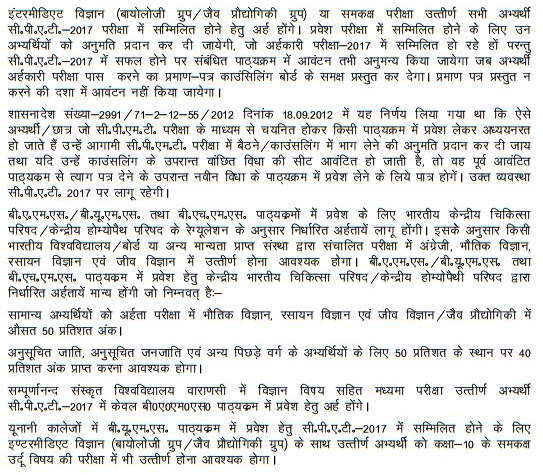 UP CPAT 2017 will be conducted by Lucknow University as per the latest notification released. There is a common admission process for admission into all Homeopathy and Ayurveda Colleges in Uttar Pradesh. The counselling process will be common for Government and Private colleges in Uttar Pradesh. Earlier, it was decided that the admission into these programmes would be done based on NEET scores but later on, the decision got withdraw and it is decided that the admission would be done through Combined Pre Ayush Test (CPAT). Scroll down for the complete details of UP CPAT Admission 2017. BHMS Course is recognised by Central Council of Homoeopathy Department of AYUSH, Ministry of Health & Family Welfare, Govt. of India, New Delhi. Duration: Four and a half years followed by one year of Compulsory Rotatory Internship (Non-Paid). UP CPAT Counselling 2017 - Second Allotment Result Announced! 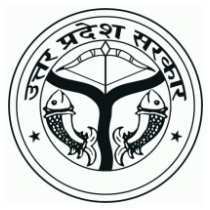 Lucknow University has released the UP CPAT Result on 11 October 2017 for the candidates who had appeared in the exam. Follow the link below to check the result. 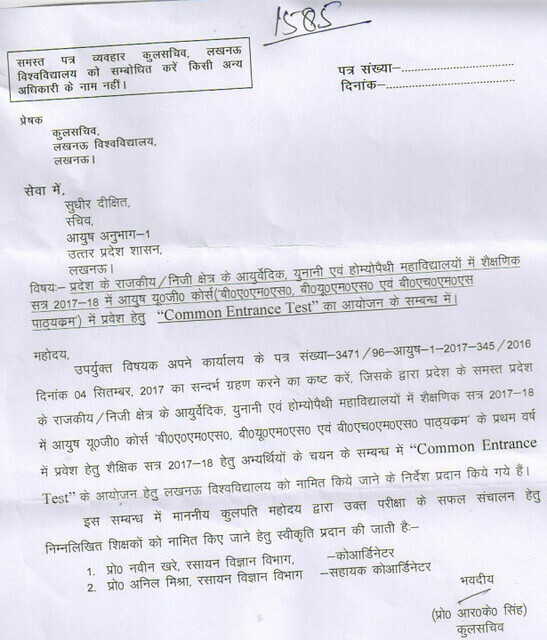 As per the latest notification, the Common Entrance Test, UP CPAT will be conducted by the Lucknow University for the UG courses BHMS/ BAMS/ BUMS. The candidates can go through the latest released notification. UP CPAT Application Ends - Extended! Register Here for Free SMS Alert and we will send you an SMS as soon as the applications start for the course. The candidate applying for the admission must be a domiciled citizen of Uttar Pradesh. The candidates those who have passed their class 12 and 10 from Uttar Pradesh are not required to produce their domicile, however, the candidates those who have completed their any one of the classes from outside Uttar Pradesh are required to produce their domicile certificate. The minimum age of candidate to appear in the CPAT entrance test is 17 years as on 31 December 2017, i.e. they should be born on or before December 31, 2000. The maximum age of candidate appearing in CPAT 2017 is 25 years for general candidates. There is a relaxation of five years for candidates belonging to OBC, SC and ST category. Candidates must have passed Class 12 Intermediate examination or any other Equivalent Exam from any Board recognized by the State Government. Candidates must have obtained minimum 50% of marks in Physics, Chemistry and Biology taken together in the qualifying examination for all categories. Candidates who are appearing for the Class 12 Exam and result is not yet available are also eligible to appear at the Common Pre-medical Entrance Examination. The admission into the UP BAMS/ BHMS/ BUMS courses would be done based on UP CPAT entrance exam. The submission form is to be done in online mode only, Therefore, the candidates applying for the admission into the UP BAMS/ BHMS/ BUMS courses need to fill the CPAT Application form given in the link below. The last date for the submission of the application form is 27 September 2017. The admit card for appearing in the UP CPAT Exam scheduled on 4 October can be downloaded from the official link given below. The admit cards will be released on 29 September in online mode only, No admit card will be sent by post. Admit Card can be downloaded using a valid Registration Number and Password (received at the time of registration). 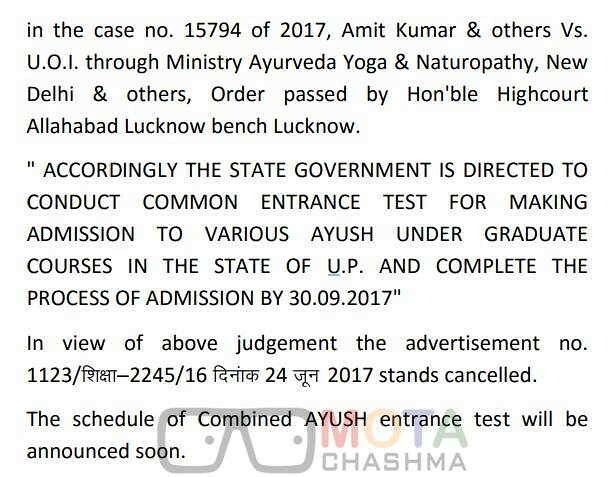 UP Combined Pre Ayush Test (CPAT) will be declared after the exam. The selection of the candidates will be done based on the scores they received in the qualifying examination. The eligible candidates who are selected through the Common Pre-Medical Entrance will be given admission to the B.A.M.S./ B.H.M.S. courses in the participating colleges after counselling on merit basis. The UP CPAT Answer Key will be declared on 6 October 2017 officially on the official website whose link has been given below. The candidates those who have any ambiguity in the answer keys can challenge the UP CPAT Answer key till 8 October 2017. The entrance exam is conducted for the admission in the following participating BAMS / BHMS colleges located in the state of Uttar Pradesh. CPAT Uttar Pradesh 2017 will enable the appearing candidates to take admission in BAMS / BHMS courses in participating colleges. The admission will be based on the Common Entrance Test whose detailed schedule will release soon. "ACCORDINGLY, THE STATE GOVERNMENT IS DIRECTED TO CONDUCT COMMON ENTRANCE TEST FOR MAKING ADMISSION TO VARIOUS AYUSH UNDERGRADUATE COURSES IN THE STATE OF U.P. AND COMPLETE THE PROCESS OF ADMISSION BY 30 SEPTEMBER 2017"
UP CPAT Result 2017 - Declared! UP CPAT Application Form 2017 - Last Date Extended!